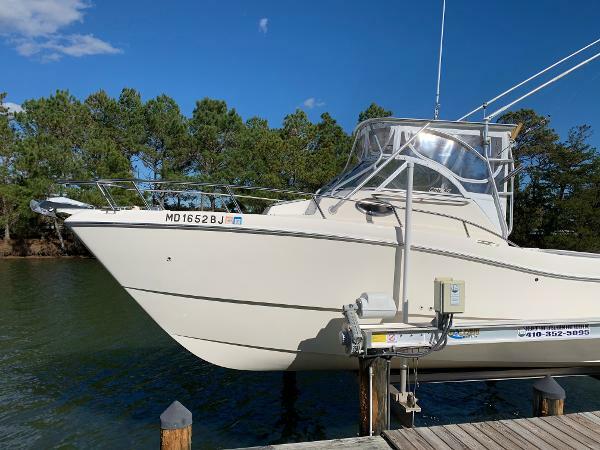 1999 World Cat 266SC For Sale This boat is a ONE-OWNER boat. Lift kept its entire life. Maintained with an open checkbook. This boat is in excellent condition and is a must see. 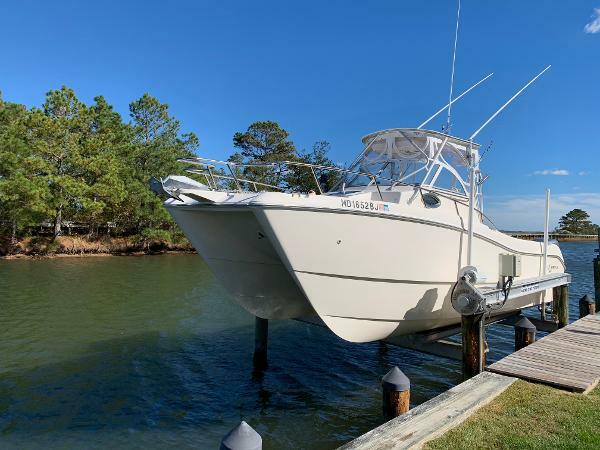 Perfect for a family looking to cruise the bay or go sport fishing in the canons. Garmin GPS/Chart Plotter Apelco VHF Radio Furuno Fish Finder Simrad Ap-11 Auto Pilot Custom build hardtop with integrated 15ft double strung outriggers New Stratoglass canvas enclosure in 2017 Motors have been repainted Custom made removable Jump-Seats in the cockpit Custom bow cushions Custom underneath cushions Perko spreader lights Upgraded Lumar Windless with TONS of anchor storage Motors: 2000 Yamaha 150 OX66 Salt Water Series II (Approximately 800 Hours) Counter Rotating Upgraded Stainless Steal Props Cowlings professionally repainted 2016 Trailer included Compression tested end of 2018 season. 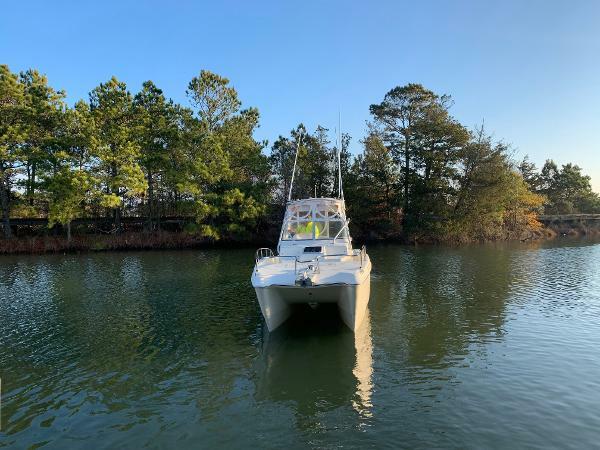 Results below: Port Starboard 142 lbs 140 lbs 148 lbs 148 lbs 144 lbs 142 lbs 148 lbs 148 lbs 138 lbs 138 lbs 143 lbs 143 lbs Compression is well within Yamaha specs. Both motors are very healthy. NEVER gave the owners any fits in 20 years of ownership. Very Meticulous owner She is Ready to go! Please call for a showing.